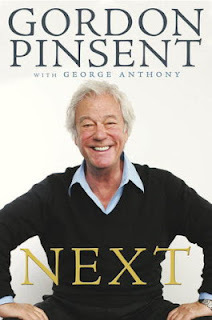 I was worried at first when I started reading this and just couldn't get into it, because I have mad love for Mr Pinsent. So I flicked on an episode of Due South, heard his voice, and voila, just needed to hear his voice to understand why I was having a difficulty. You must hear his manner of speech to understand his way of writing. Won't lie it disturbed me that he gave up his children from his first marriage so easily. I have always thought of him as the very fatherly type. Still love ya though Gordon (and it was an honour meeting you last year and will always remember our little chat) was just a little shocked. "In those days people were not as open to friendships between men and women, but friendship was very important to me. And I was as good at chatting as I was at catting." "Wait a minute, wait a minute," said Marlon with a disdainful squint. "You're going to Winnipeg? To do a twenty-year-old musical?" "No," I said, "I'm going to Winnipeg to do a show for John Hirsch." "Standing before a judge and agreeing not to see my children, so their mother could make a fresh start, was the lowest point of my immature young life. For the next two decades my children would see me only on television. Year later, thanks to their love and persistence, we would find each other again, and some thorny issues and unanswered questions would finally be resolved."